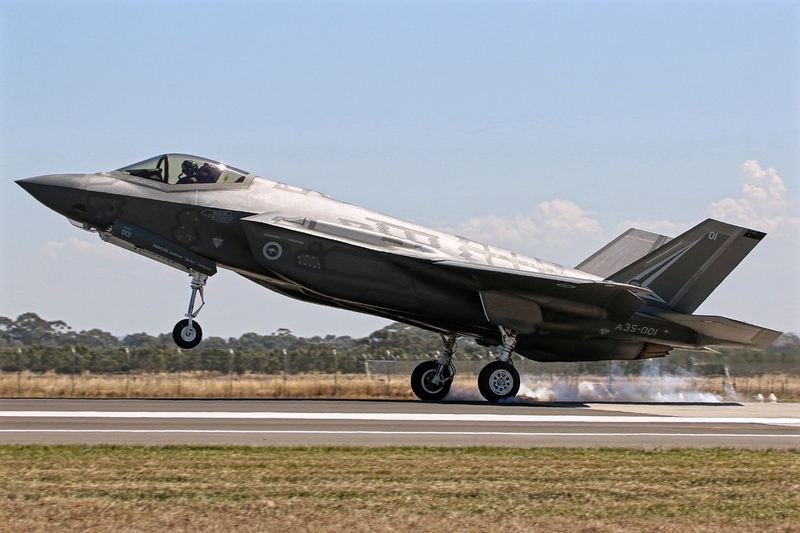 RAAF Receives F-35As With New 3F Software. The Royal Australian Air Force (RAAF) has received three Lockheed Martin F-35A fighters at Luke AFB in Arizona. The three aircraft are equipped with the block 3F software of the type, a version more capable than the 3I software installed in its first two examples, says Australia's defense minister, Marise Payne. "These latest aircraft are equipped with the final software system of the program, which unlocks the full combat potential of the aircraft, including weapons, mission systems and flight performance." She adds that Australia is the first international partner to accept jets with Block 3F software. "This is another key step for the introduction of the aircraft in service before its arrival in Australia in December of this year." The delivery brings the RAAF fleet to five examples. Five more aircraft will be delivered by the end of 2018. Australia is getting 72 F-35A to replace its old Boeing F / A-18 A / B Hornets. In December, Australia announced that 18 of its "classic" hornets will be sold to Canada, and deliveries will begin in 2019. The aircraft will cover a Canadian capacity gap while Ottawa decides its own replacement plans for its 88 CF-18 A / B fighters.